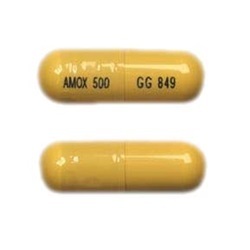 Amoxicillin 500mg capsules. 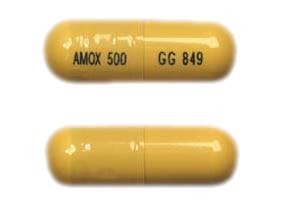 Capsules are odorless and yellow with AMOX 500 GG 849 printed on them. Manufactured by Sandoz. NDC Number: 00781-2613-01. Comes 100 per container.